5th Year for Lazada Philippines is Strongest Year Yet - Hello! Welcome to my blog! Manila, Philippines, 14 March 2017 – With a record high 91% market share in the Philippine e-Commerce category, Lazada Philippines has plenty to celebrate for its 5th anniversary. Since its recent acquisition by global e-Commerce giant, Alibaba.com, the country’s dominant online shopping and selling destination shows no sign of slowing down. In just five short years, Lazada has been able to guard and grow e-commerce in the Philippines with commitment to its three main customer offerings: assortment, convenience, and topnotch service. It is Lazada’s 5th birthday this March and everyone is invited! Brands, sellers and other e-commerce partners are joining Lazada to surprise shoppers with all the perks of online shopping. 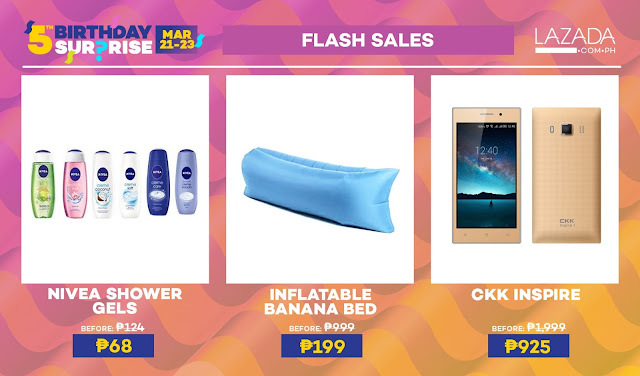 Starting from March 13 with hot deals and preorders to whet the appetite of eager shoppers, Lazada’s birthday celebrations will peak on March 21 - 23 presenting limited-time ‘flash’ sales, exclusive product launches, irresistible deals on branded products among many birthday surprises. Shoppers can join the celebrations on www.lazada.com.ph or download the official Lazada shopping app on Android or iOS. Launched in March 2012, Lazada is pioneering e-commerce in the region by providing customers with an effortless shopping experience with multiple payment methods including cash-on-delivery, extensive customer care and easy returns. 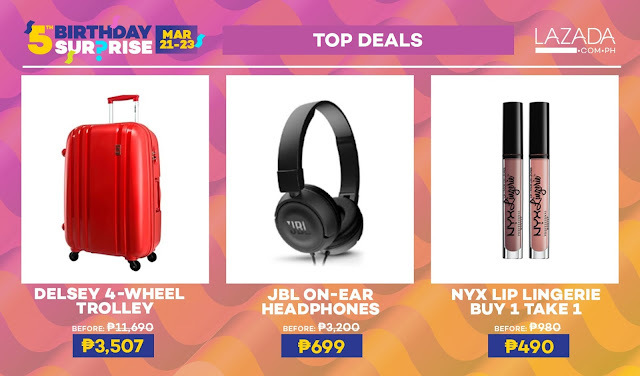 Lazada features a wide product offering in categories ranging from consumer electronics to household goods, toys, fashion and sports equipment.